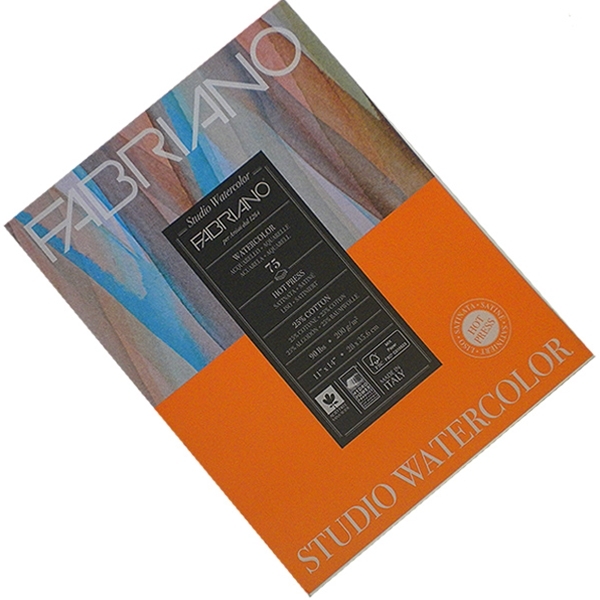 Fabriano’s 140 lb Studio Watercolor Pads are now available in a NEW Hot Press surface as well as our traditional Cold Press surface. Pads measure 11" x 14" and contain 50 sheets. Fabriano Watercolor paper is made with a blend of high quality lignin free cotton and cellulose. It is acid-free for stability, and internally/externally sized for optimal absorbance. Ideal for multimedia techniques, watercolor, tempera, gouache, acrylic, ink, drawing and markers. 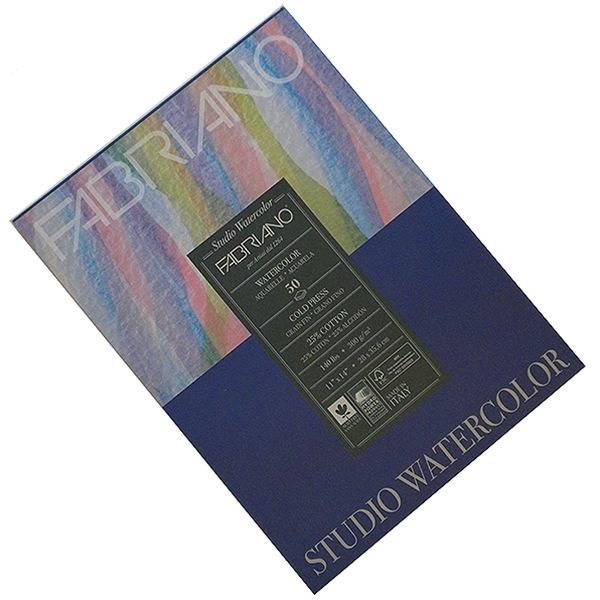 The quality & value of Fabriano Studio Paper is an exceptional offer, and appropriate for both the beginner and the student of fine arts. Produced with 100% of E.C.F. pulp (Elemental Chlorine Free), F.S.C. certified (©1996 Forest Stewardship Council A.C.) from forests responsibly managed respectful of environmental, social and economic standards.